If you follow the blog, you've seen me write (repeatedly) "I love natural wood and white!" So how about this side table / end table refab? From alley find to interior designed. Complete how-to at Design, Dining and Diapers. 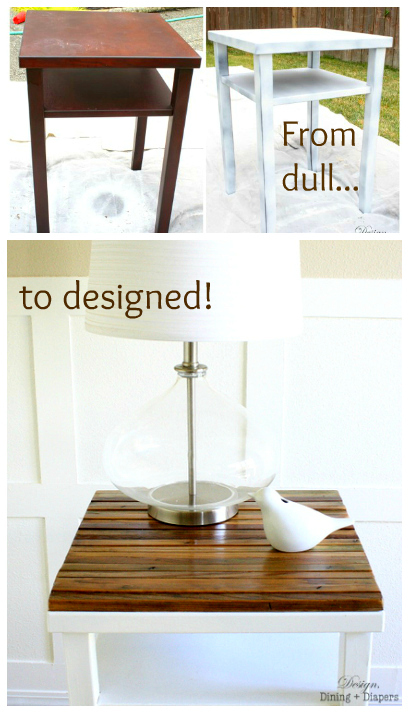 2 comments on "Upcycle: Side table distress!" That is a pretty upcycle! Thank you SO much for the feature! If if wasn't for you, Apartment Therapy might not have found me! Can't thank you enough!